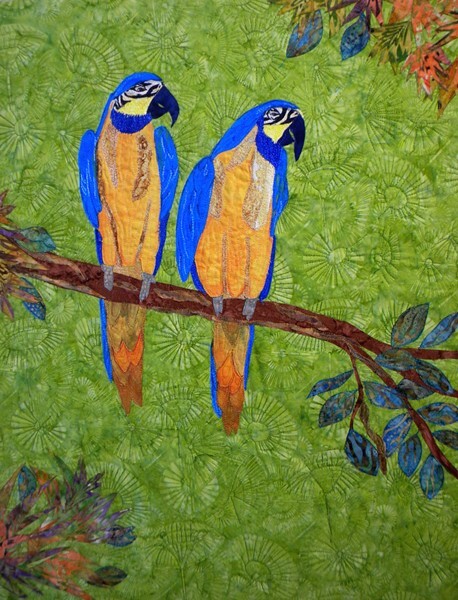 Abstracts & Animals showcases the diverse talent of two local artists through a vibrant exhibit of art quilts. Donna Stankiewicz works with realistic subject matter using paints, dye, and fabric. Jody Beth Wigton uses color and pattern to create multi-pieced abstract and improvisational designs.